Does This Make My App Look Too Big? Oh, there's an app for it alright. Why shouldn't plastic surgery have its own app? 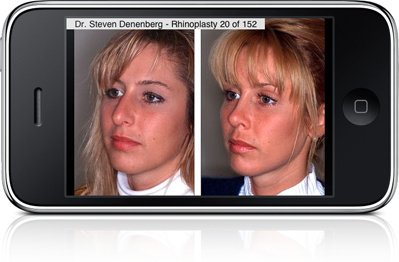 Developed by facial plastic surgeon Dr. Steven Denenberg, you can either look at hundreds of before and after shots, or take a pic of yourself and email the good doc for an evaluation over coffee. (Nip/Tuck/Latte?) Download it directly kids.